Being a customer oriented organization, we are engaged in manufacturing, supplying and exporting Vodka Bottle Caps. 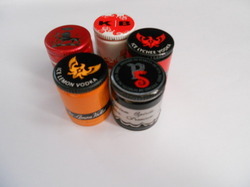 Offered vodka caps are manufactured by using optimum quality material and following the standards already laid by the industry. Also, our experts supervise every stage of production, with an aim to develop qualitative vodka caps. Before the final dispatch, these caps are rigorously tested on various parameters of quality, with an aim to offer high quality products to the patrons. 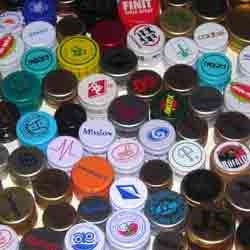 Owing to our countable experience of the industry, we have been able to offer a range of Small Bottle Caps. We are equipped with professionals who make use of premium quality raw material procured from reliable vendors to ensure the quality of our products. Our range of caps are extensively used in industries like food, beverages, pharmaceutical, distillery,and chemical. 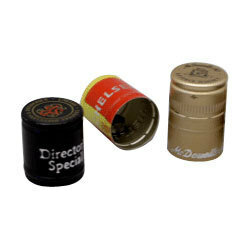 Driven by perfection, we are instrumental in manufacturing, supplying and exporting Rum Bottle Caps which can be customized. We manufacture our products under the strict supervision of experienced professionals, who follow norms and standards already set by the industry precisely. 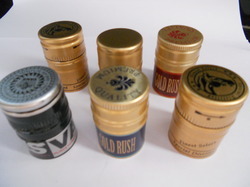 To ensure the flawlessness of these caps, our experts conduct various tests before the final delivery to the customers. 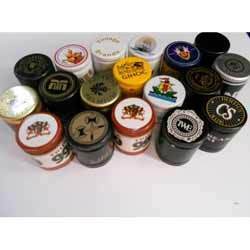 Bearing the name, top class manufacturer, supplier and exporter of Embossed Caps, we offer a wide range of Embossed caps in multiple sizes and the liner options ranges from EPE, EPE with Saranex, EPE with tin Saranex. We manufacture our products following industry guidelines, with a perfect blend of quality raw materials sourced from trustworthy vendors of the market.